HOW TO DEFINE “A HIGH PERFORMANCE MANAGEMENT TEAM” ? The key to the sustainability of the implementation of the Discipline of Executing the Strategy is the APPROPRIATION of the methodology by the Management Team. This is to involve every member of the Management/Executive Team in decision-making by empowering on estimated projections and making the choice of indicators, while improving individual and collective behaviors. This is how to transform "good management teams" to "excellent"; For this, we create a dynamic group based on shared operating rules (respect, teamwork, motivation, passion). We encourage new behaviors, developing the accountability, we facilitate the WorkOut sessions and workshops as well as exceptional team buildings. Less than 10% of the Companies which formalized their strategy realize it and in 70% of cases the problem is not a bad strategy... BUT a bad implementation of the strategy ! THE MANAGEMENT TEAM MODEL AND THE ASSOCIATED OPERATING RULES. 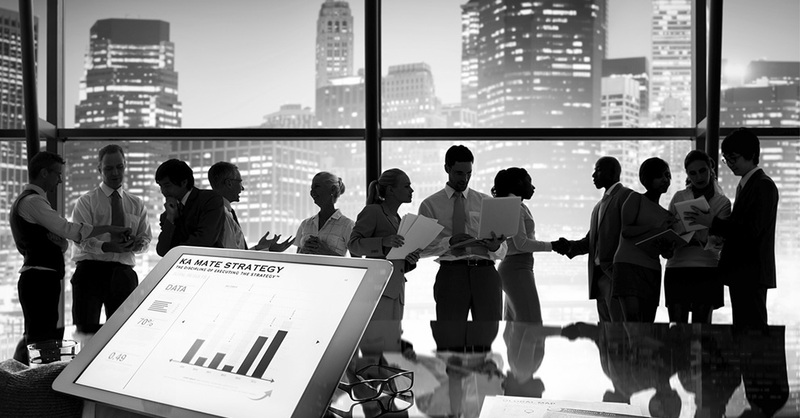 Few companies have an optimized method of operation within their management teams. Whatever the existing level of the management team dynamics there is always resistance (to a greater or lesser extent), in steering the execution of the strategy. This resistance may be related to a lack of understanding of what the fundamentals of an effective team are or of what the necessary competencies for implementing these fundamentals are, or may quite simply be related to a lack of desire to optimize this operating mode. The causes of this resistance may be related to differences in professional experiences, cultures, personal ambitions or to various power issues. We believe that to optimize this operating mode it is important to facilitate the management team’s operation on the basis of operational realities and the concrete problems encountered in executing the strategy. This Facilitation enables us not only to act on individual behaviors by encouraging the ones expected by your company values but also to remove the various barriers hindering the optimization of the operating mode. We therefore work simultaneously on group dynamics and team building while supporting your management team in resolving the concrete problems your organization is facing. The first phase in this stage is to clarify expectations within the management team on performance and individual and collective behaviors. We rely on both tools to formalize the management team model and rules of operation that relate to your company values. In order to initiate change in your middle managers’ behaviors it is essential that your management team sets an example. 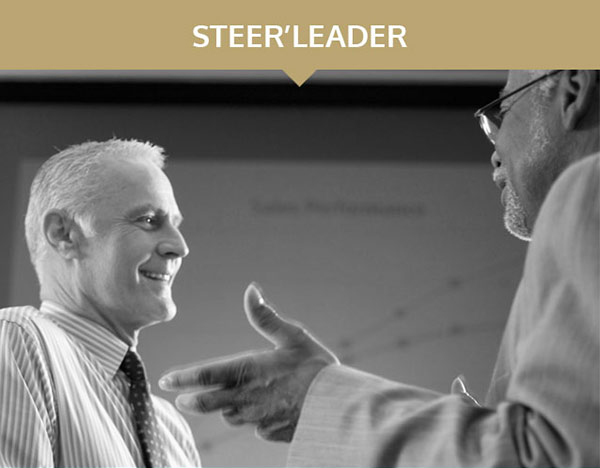 DEVELOPING A HIGH PERFORMANCE MANAGEMENT TEAM USING THE STEERVISION CENTER™: THE SUCCESS OF YOUR STRATEGY IMPLEMENTATION ! In order to efficiently steer the strategy execution of the strategy it is essential to encourage real result-focused teamwork at the highest level of your organization. 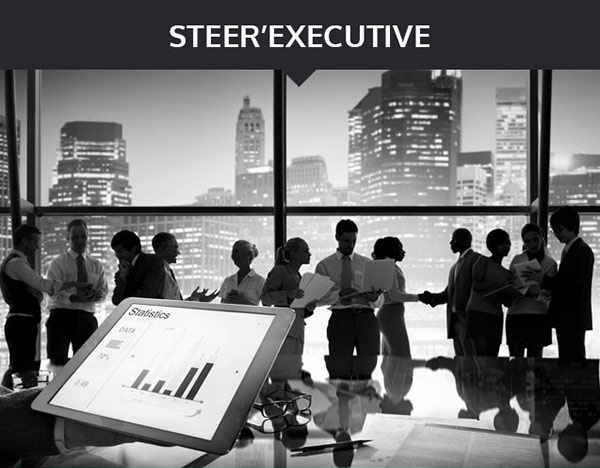 During the facilitation sessions in the SteerVision Center ™ implemented in your offices, our high expertise as facilitator will lead the Management Team to respect the ground rules and to combine energies towards a common goal while developing high performance individual and collective behaviors. We rely on a network of change champions that we develop within your organization. 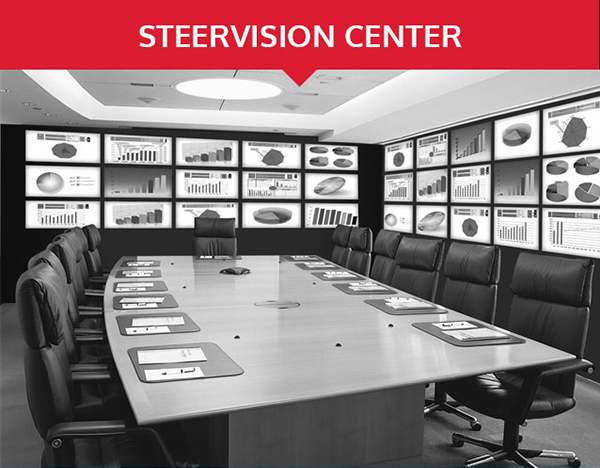 Those change champions will be responsible for the facilitation of the SteerVision Center™ in order to ensure the update and the good way of use after our departure. Real expertise and unique knowhow based on methodologies tried and tested worldwide in leading companies in every field. Why is there such a gap between strategic or decision-making intentions and tangible results ? Why are all energies not focused on a single objective ? Why does a CEO with a clearly formalized strategy find that the expected results fail to emerge, despite having every confidence in those responsible for executing the strategy ? A CEO does not always have all the resources on which to base a sound decision: there is often a lack of transparency in the information channeled to the CEO, issues arising from power struggles and any number of dysfunctions within the team. An additional factor is that members of the Management Committee must set the highest of examples to ensure that execution – i.e. the implementation of decisions – becomes an integral part of your company’s culture. This is why the dynamics of the management team need to be reinforced and the execution of strategy managed in the same way as a program of culture change, key to an enduring implementation of the Discipline of Executing the Strategy, in order to ensure full appropriation of the method by the management team. According to our experience we know that appropriation has to be built first individually and then collectively. The building of this appropriation is faster if we share, with the Management Team, Best Practices of other environment from which they can learn by analogy.